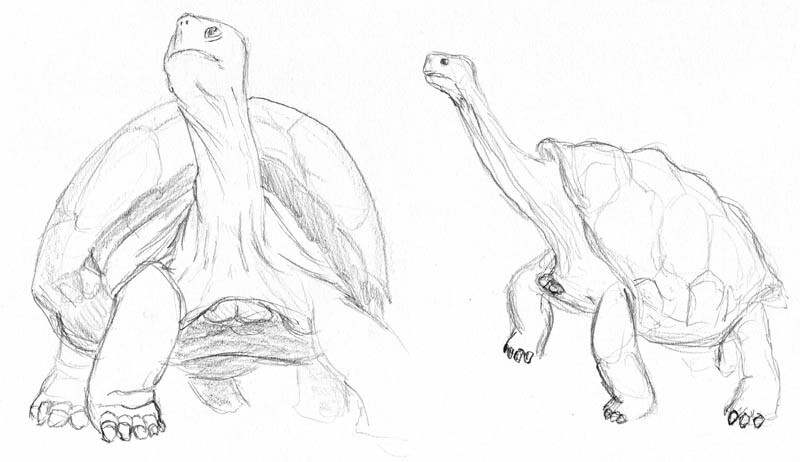 Two sketches of the faces of giant tortoises seen from the side. 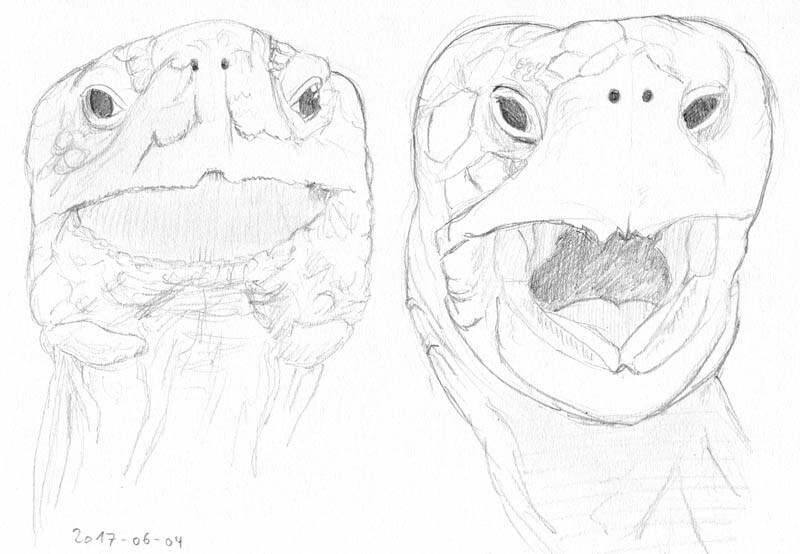 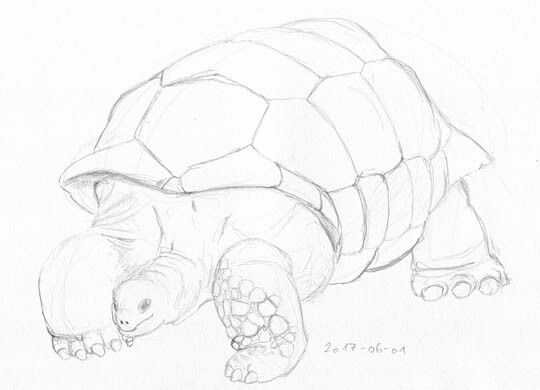 Two sketches of the faces of giant tortoises seen from the front. 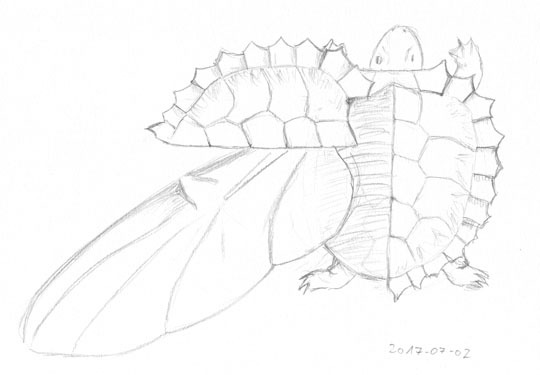 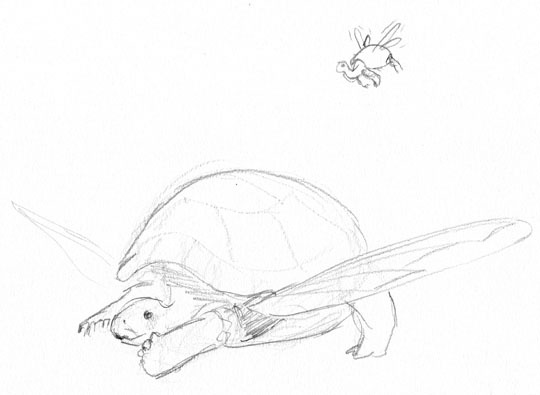 Two sketches of giant tortoises sticking out their heads.